Registered as Kamel in Egypt. Bred by Egyptian Agricultural Organization, Egypt. 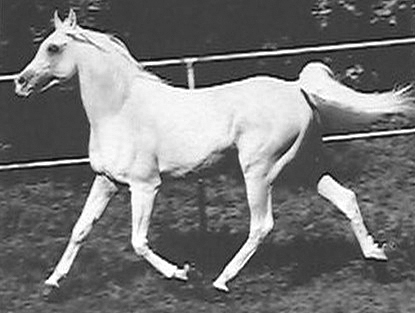 Imported from Egypt to Weil-Marbach Stud in Germany in 1955. Sire of 128 registered purebred Arabian foals.